In Part I, a disturbing paradox of the wireless phone and other digital communications technology was identified. Because of such technology, people who are physically distant are treated as though they are near, while most of those who are physically near, e.g., at a bus stop, in a hostel or in an elevator, are treated as though they are distant, out of view, out of mind and out of bounds—except for those already admitted into one’s digitally-welded, pre-existing social (media) circle. 1. The rise of the cyborgs and other machines: The machines have spoken—they, e.g., iPhones, computers and iPads, are more interesting than we are, so when we are given a forced choice between spending time with a new iPhone and a new person, the machine wins. Ask any kid given the choice between saying hello to a visitor or continuing to play his computer game. The extreme manifestation of this is “trans-humanism”, in which human perfection is a blending of man and cyborgish add-ons, surrogates or prosthetics that make humans seem lame and the gleaming machine an ideal to aspire to. Movies like “Iron Man” are the tip of this steel-and-chromeberg. As a result, ordinary humans—especially those not already in one’s inner circle—seem boring, limited and otherwise imperfect. In fact, it may be argued that the only reason our friends we phone do not seem equally boring is that they give us one more excuse to use or celebrate our wireless phones, or because their participation is required for some of its applications, just as many kids’ computer games still, but perhaps only temporarily, require other human rivals or partners. 2. Stranger danger: The more strangers there are, the greater the number, if not percentage, of real or imagined psychopaths in the population and the larger the anonymous crowd into which they can blend and hide. Add sensationalized news coverage of the nut jobs and criminals to the fearful mix, which ensures that “stranger” conceptually and emotionally morphs to “strangler”. Hence, time on a mobile phone is perceived as a safer choice than time chatting with a stranger, especially more fun than the time spent on making 911 calls about the weird ones. Ditto for digital social media like Facebook or Skype. In fact, these digital technologies are now laminated onto or compete with each other to create an even thicker security blanket. Mike Lewthwaite, 24, manager of the St. Andrews Tourist Hostel (where I was comfortably ensconced for the New Year holiday, in St. Andrews, Scotland, 2013), expressed his puzzlement at how young women in local pubs will ask for a guy’s Facebook page, rather than a phone number (at least in part, it seems, to confirm identity, credibility and innocuousness). 3. Time stress: In an economy in which money muscle means money hustle, time is micro-managed. As digital technology makes contacting those we already know easier, it also makes it more professionally or socially obligatory as prescribed digital etiquette, since easier communication not only allows, but also demands more frequent communication. Hence, for every minute a mobile phone saves, there’s probably one it uses up in the process of social or job-network maintenance/lubrication and making those one already knows feel special. In any case, there are obvious tradeoffs, in terms of time saved, gained and lost. Such time stress and tradeoffs leave little to no time for strangers—anywhere, anytime. 4. Increased conversational and social control: There is brilliant underlying social engineering embodied in a mobile phone. 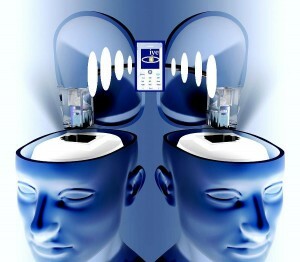 It increases control over one’s social interactions to levels hard to reach in face-to-face conversation. 5. Homogenization and trivialization of strangers: As I’ve argued elsewhere, we have become social victims of our economic successes. The triumph of 20th-century democracy and capitalism has not only leveled many playing fields, but has also made the players more indistinguishable from each other. What seems like eons ago, interacting with strangers who didn’t appear to be dangerous previously held some promise of a mini-adventure, since there were expected differences in outlook, education, life experience, values, possessions and interests associated with them, kinds of books enjoyed, pastimes and hobbies, travel stories and venues, etc. In those perhaps over-romanticized days, there was an easily imagined “opportunity cost” associated with not engaging a safe-looking stranger when there was absolutely nothing else to do under the circumstances (except silently stand in line, sit on a bench, look out a bus window at the rain, stare at the elevator buttons, etc.). That’s completely changed: Now, the homogenization of human types and talents, through mass higher education, mass-media and marketing-driven personality shaping, easy and affordable access to the same mass-marketed “toys” (such as iPhones, SUVs, running shoes, a safari in Kenya, a master’s degree), and the standardization of the appetite for and response to the entertainment “culture” have made the prospect of talking with a stranger generally unintriguing, unexciting, unentertaining, and neither exotic nor adventurous. More commonly, that stranger is now seen as boringly familiar and therefore predictable at best; or an annoyance, a burden; an invalidating, trivializing clone of oneself, a distraction, a competitor, or, worse, a menacing maniac or exhausting parasite. 6. 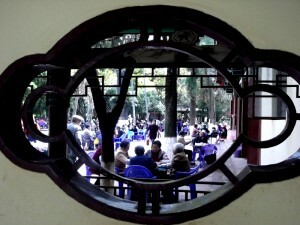 Intolerance and fear of homogeneity: Sure, like Chinese senior citizens whose homogeneous circumstances and uniform taste for mahjong and cards fill the many tables in the many lovely parks throughout China (illustrated below), strangers can come together precisely because of, rather than in spite of, the perceived homogeneity of their interests and objectives—including for the purpose of mutually validating their homogeneous identities, opportunities and circumstances. But that works better in a culture in which homogeneity and being the same as others is not only well-tolerated, but also valued. It works less well in more individualistic (or narcissistic) societies like many of those in the West, in which not only do so many individuals want to be precisely that—and not just individuals, but also “special” individuals who want to feel special, and preferably unique, by associating only with special (but not “weird”) individuals or groups (such as a Facebook circle). In highly individualistic cultures, the encroachment of homogenization as a threat to specialness of identity and experience is, where not strenuously resisted, assiduously exploited, e.g., in tattoo or Goth subcultures, which fight the homogeneity of appearance and values through artistic novelty of design and innovative technique, while exploiting the sameness for the purposes of specialness by excluding any stranger easily identifiable as outside the subculture. Ironically, the same exclusion can apply to a stranger who far from being outside the subcultural inner circle is clearly within it. In that case, such a like-minded, like-looking stranger may be shunned because of the trivializing, invalidating effect it has on one’s presumptively special, yet fragile identity. For example, this kind of thinking and behavior typifies the instinctive distancing, non-engaging, resentful response of many overseas travelers to other compatriot “Cinderellas” who show up at the same travel “ball”, e.g., trekking the Himalayas, as trivializing, and therefore invalidating clones. It’s much better for one’s ego to tell others back home about one’s special experience by phone or email, since they will not be on hand to trivialize it by making it less rare. Interaction with strangers is desirable only to the extent that they validate, rather than trivialize us. 7. Customization of strangers: Ironically, concurrent with the boredom of homogenization of tastes and lifestyle toys is the chore of dealing with the customization of these, in the form of niche or merely radically different interests and other lifestyle dimensions. As the technological and marketing flip-side of mass homogenization, mass customization (brilliantly anticipated by Alvin Toffler in his now-classic Future Shock) creates huge numbers of strangers to whom we can relate only by making an equally huge effort to do so. The guy sitting next to you on the train reading Credit Default Swaps and Other Derivatives has a niche interest that probably hasn’t interested you and never will, especially if you’re reading Arts and Crafts for Kids. Making the effort to change that seems to be too much of a chore, so, you remain silent, and return to your iPhone Google search, “trout and bass fishing lures” or “history of Norwegian end tables”. 8. Superiority of digital to face-to-face information flow: A traditional benefit of talking face-to-face with strangers was the information they had—“Excuse me, where can I find a blacksmith?”. No longer. The smart phone’s information access, including detailed maps and street views, dwarfs the archives of the average human mind, including the minds of travelers. That’s another reason why, these days, hostel guests seem to interact much less than one would expect. Compounding the disconnect on the supply side (in virtue of a much larger and better supply of online information than of private anecdotal knowledge) is the demand-side drawback of asking strangers for information: Asking has come to seem suspicious, lazy or “old”, as a dated, obsolete alternative to rubbing the iPhone magic lamp for answers and wish fulfillment. Ironically, digital talk is often superior to face-to-face for the opposite reason: It provides less, rather than more babble, e.g., in text messaging, which generally spares the reader the endless “I’m like”s of modern youth-talk. 9. Diminishing marginal utility of strangers: I’ve said it before and will say it again (having first said it when I was a teenager): “People are like fractions—the more you multiply them, the smaller they get.” Besides causing disconnects with and disregard of strangers, the smart phone’s popularity may, ironically, be a consequence of precisely these two distancers, viz., disconnection and disregard. Tuning out of strangers because there are too many of us may drive iPhone purchases as much as being driven by them. An independent variable driving both may be high—often absurdly high—population densities: the higher the population density, the bigger the disconnect and the greater the disregard. Lower population densities and smaller total local population may be a factor in the incredible friendliness of the Scots toward strangers (including and not only me). With a total population of less than 6 million and smaller than New York City’s, Scotland (as well as Ireland) has a demographic framework highly conducive to the survival of a village mind set. The Scots and the Irish are uniformly (and here I mean 100% in my six weeks’ experience in Scotland and Ireland’s small towns and big cities during my 2013 visit) hospitable, relaxed, curious and friendly. One possible reason for this is that they seem to have healthy vestiges of the kind of village mind so prevalent among the comparably friendly mainland Chinese. The latter, despite migrations to China’s huge population centers, retain (for now, at least) their village values, personalities and enjoyment (or at least civil acceptance) of the existence of another human—even if (s)he’s a stranger. …especially since it would be offered by them.